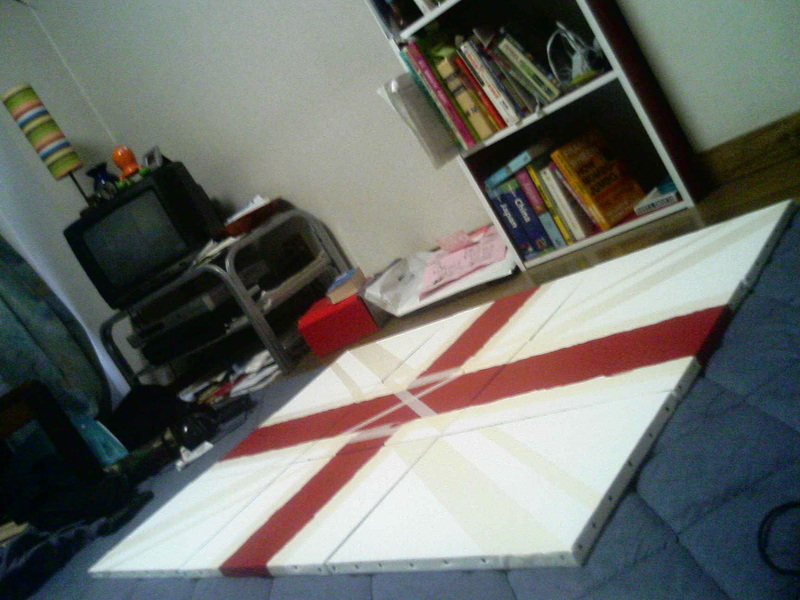 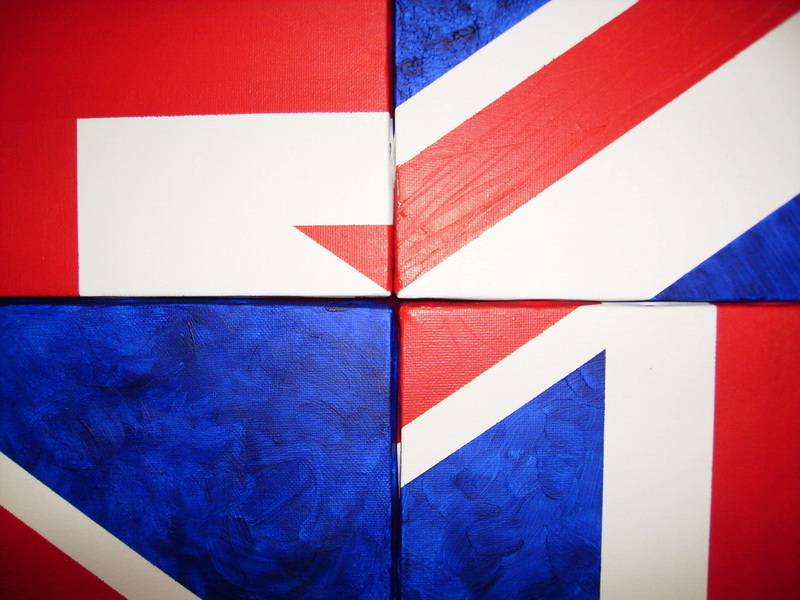 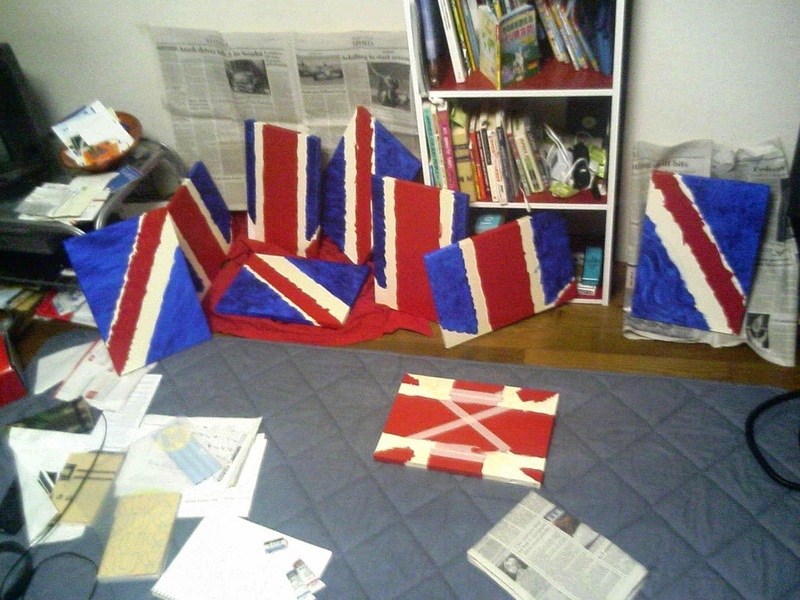 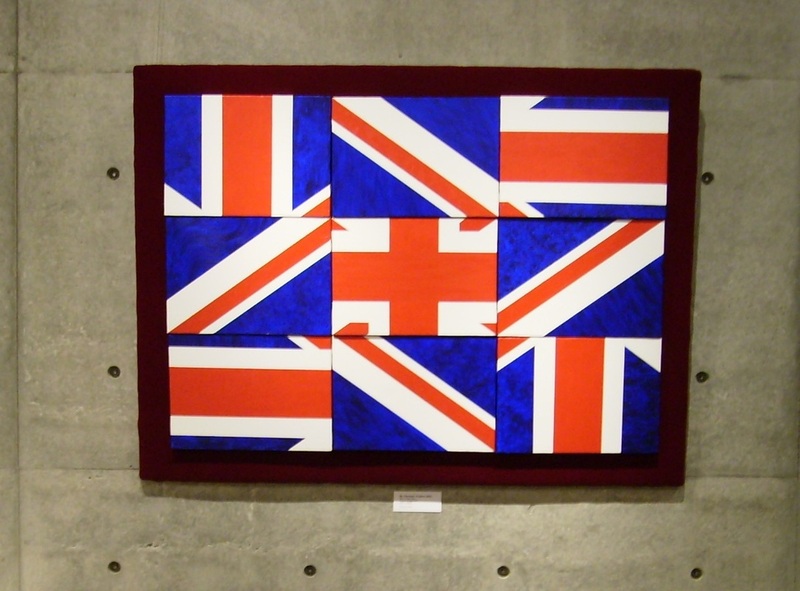 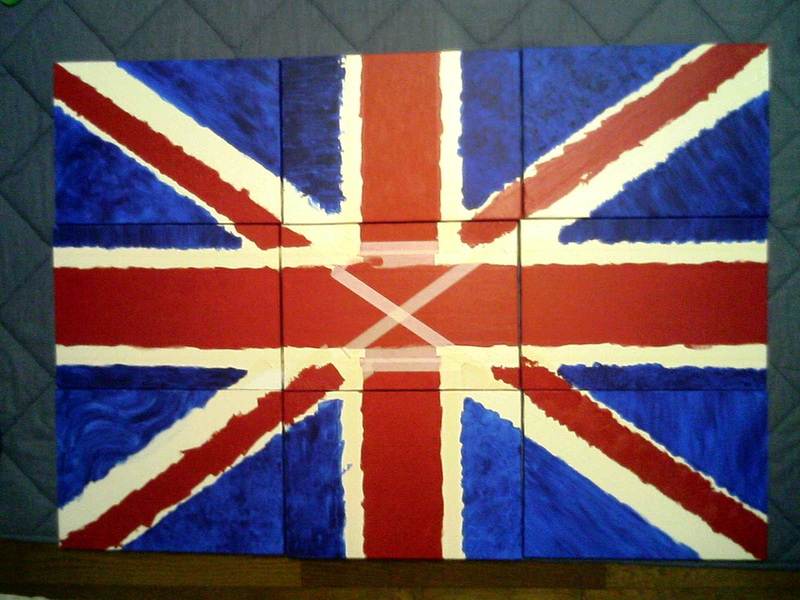 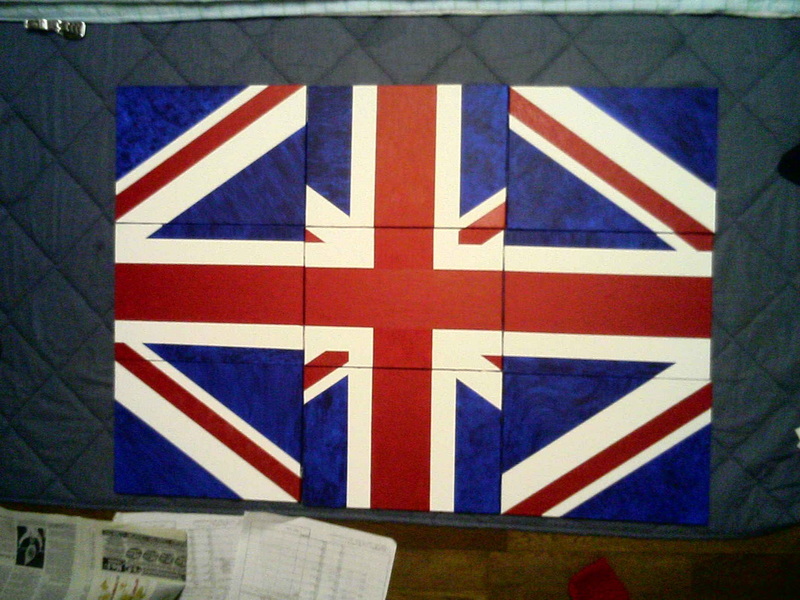 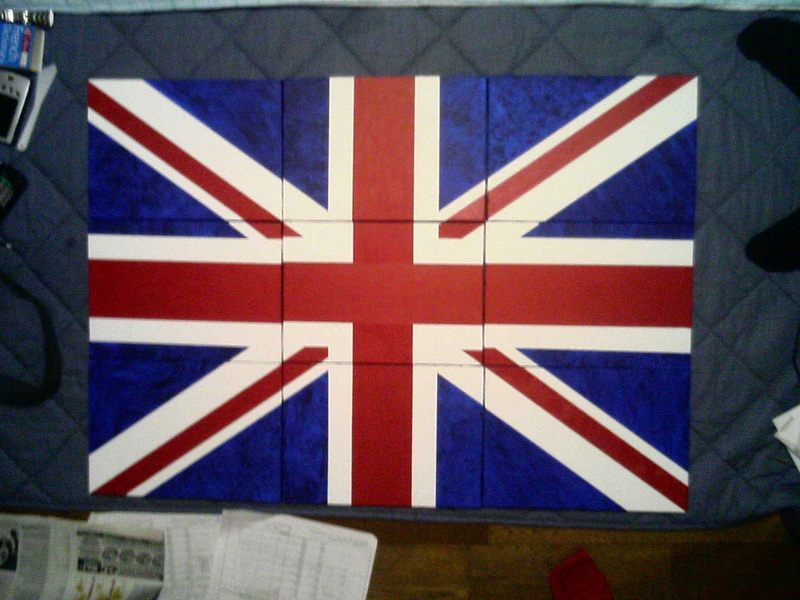 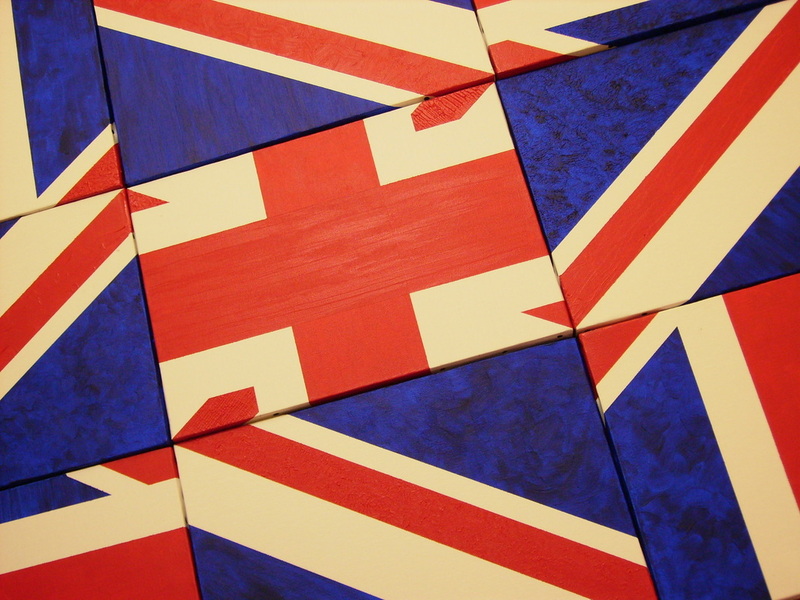 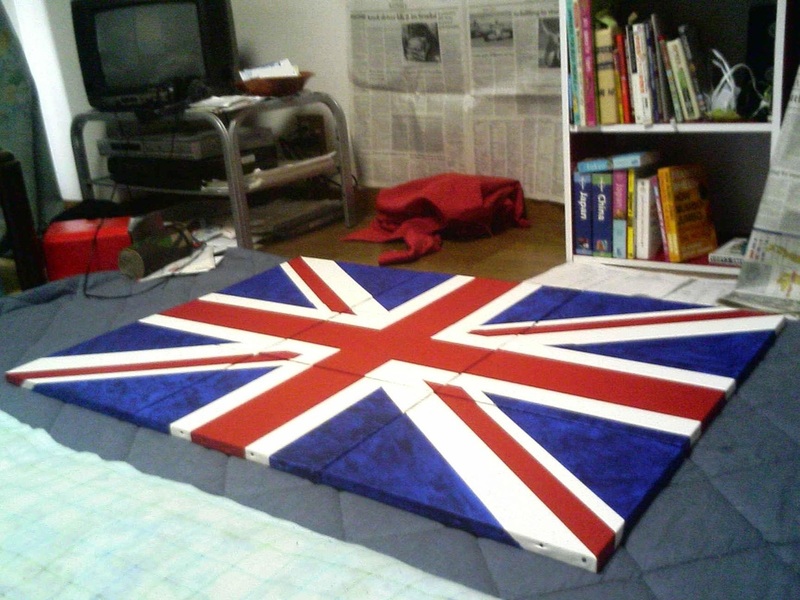 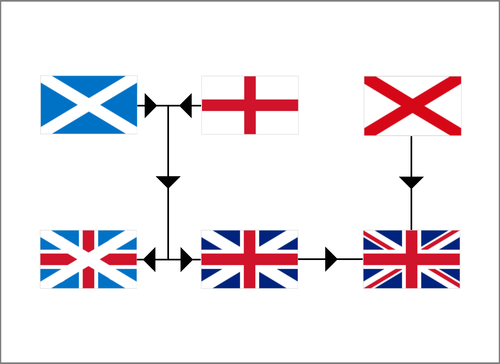 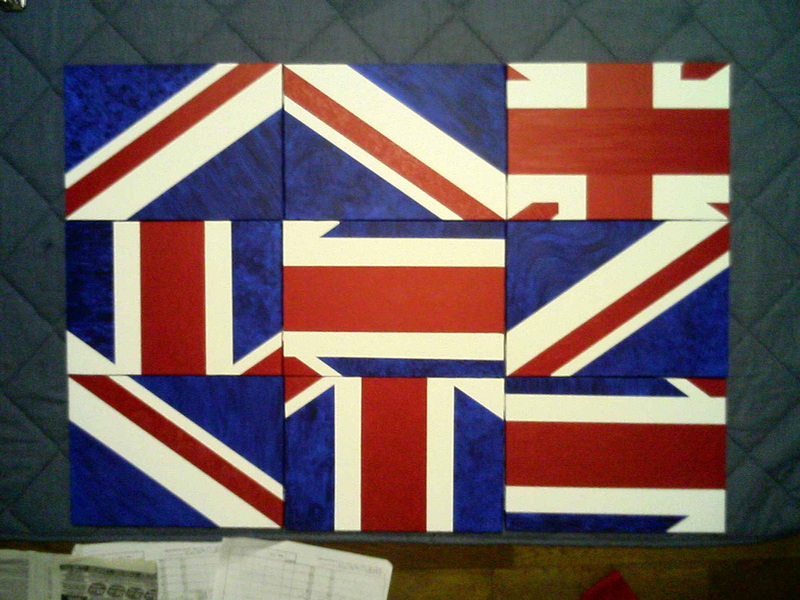 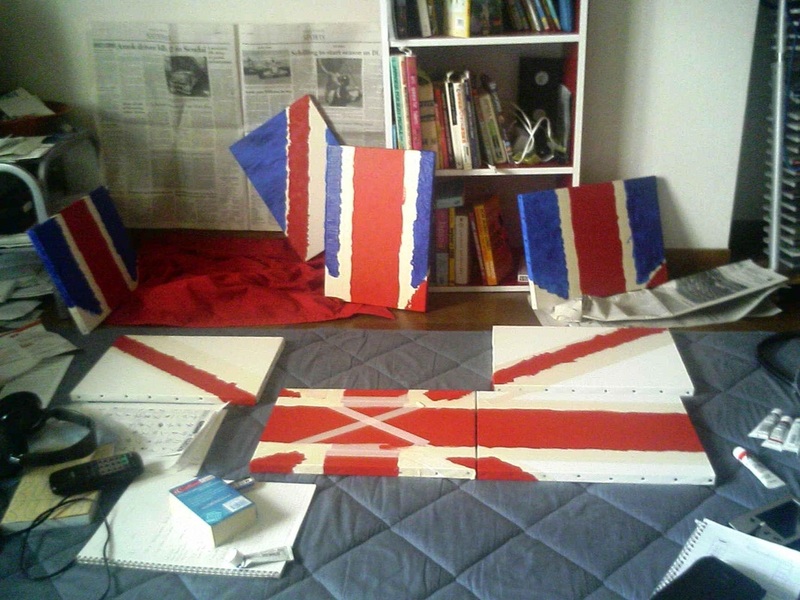 My Disunited Kingdom is made of 9 B4 sized canvases painted in acrylic to form the "Union Jack" on a velvet cushion board. 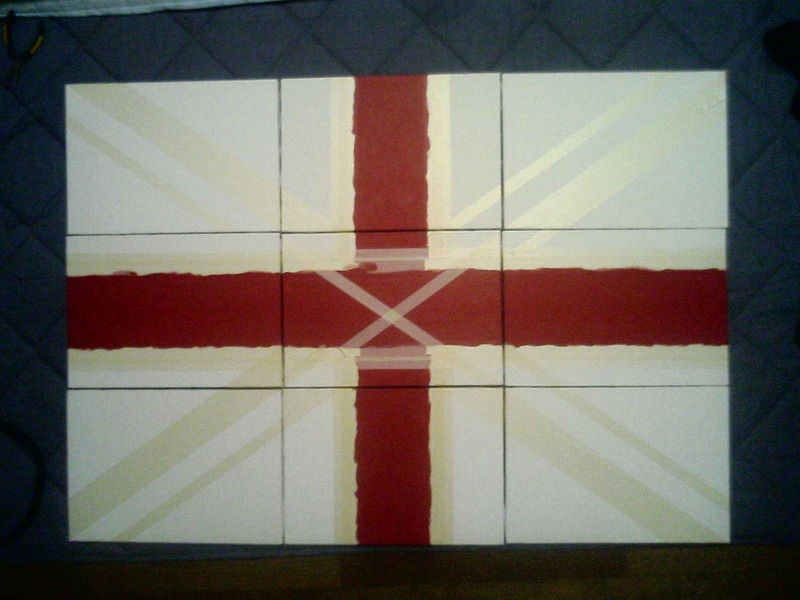 Each masked section has a different physical texture and individual panels can be "hooked in different places in the grid. 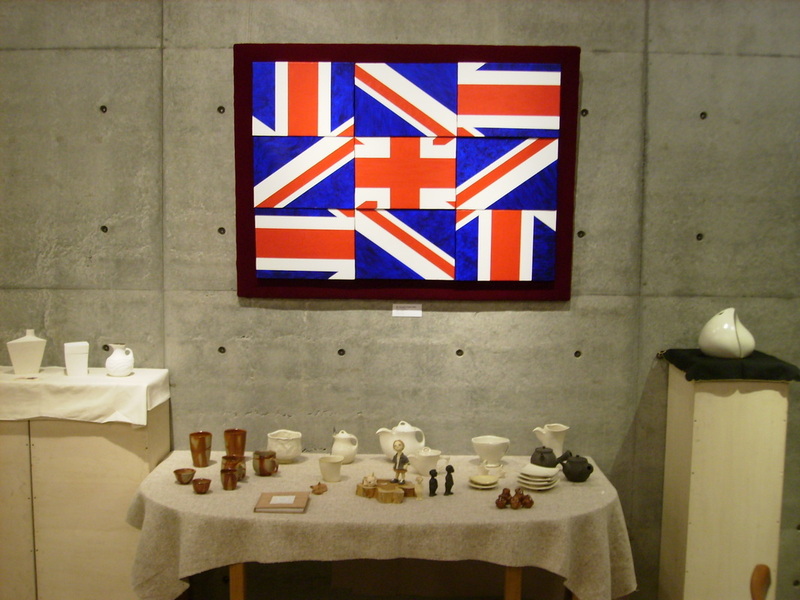 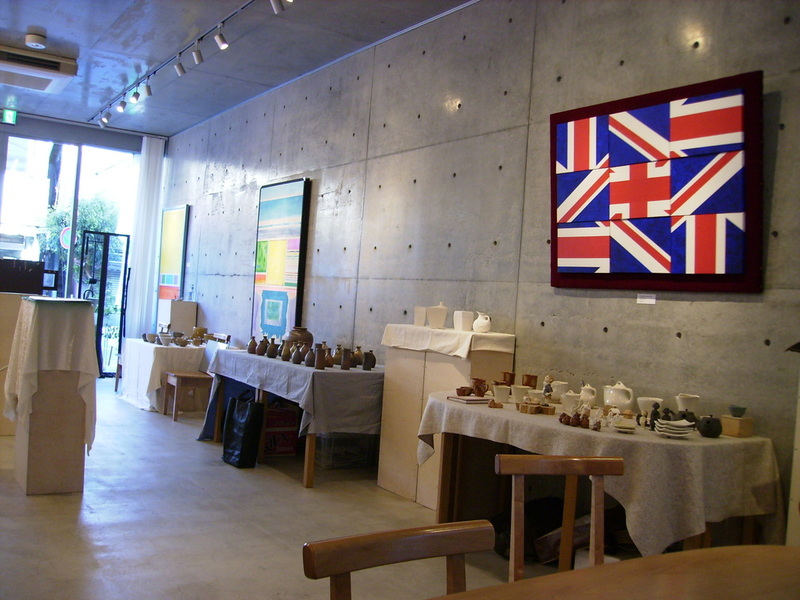 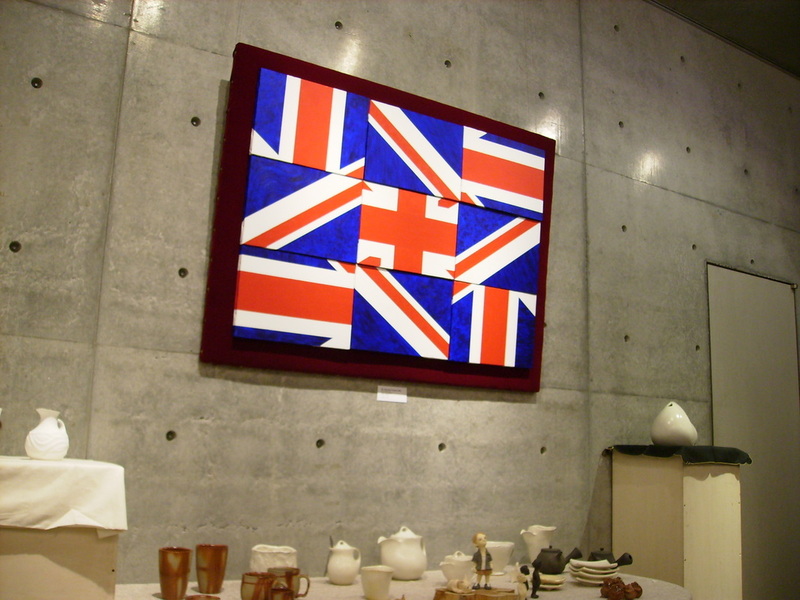 It was shown at a joint exhibition of painting, pottery and stained glasswork at Jack and the Beanstalk Art Gallery, Kamakura Japan in 2009.